For many people, the balcony is the place to store items that are sure to come in handy someday or they simply had no place in small rooms. But there are many other ways to store things: village house, basement, storeroom and so on. Multifunctional furniture that has drawers specifically for such purposes helps much. And a balcony? Oh, you can arrange balcony space with the convenience. There are a variety of options and modern balconies interior design ideas. 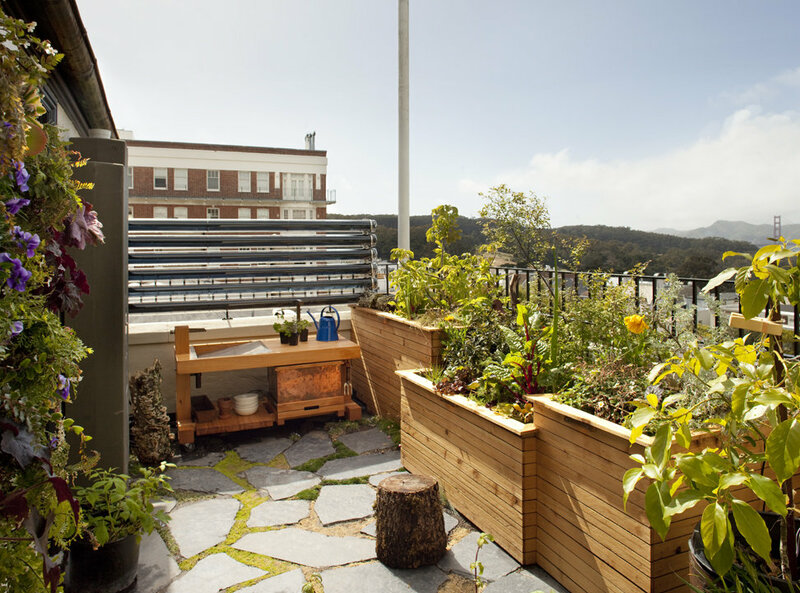 What can you turn an ordinary balcony into? Guest room or dining room. You can put a table and chairs or a sofa, or couch. It all depends on the size of the balcony. Flowers and other decorative elements would be a wonderful decoration. And then you can safely drink tea and chat with friends while enjoying the views from the windows. Or to have meal with your whole family “outdoors”. Winter Garden. It is, generally, a magnificent use of the balcony. Imagine that you can go out on your balcony and admire the beautiful plants in any weather. You can put a sofa or chair in the corner and feel yourself exactly in the oasis. Personal area (little home office). 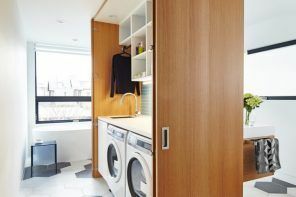 It is also a good option, especially if the apartment has no separate room for this purpose. Or if you have noisy little rascals running and shouting in the room. You can retire and do some work in your private office on the balcony. Creative people constantly need inspiration. The balcony is the perfect place to achieve new emotion. Very pleasant and useful use of the balcony space. While other people are forced to go to the market to buy vegetables, you can just go to your balcony and harvest both summer and winter. Of course, this requires appropriate heating and lighting, but it’s worth it. Games room. If squaring allows, you can make a children’s playground with a horizontal bar, slides, swings, sandbox and so on. Of course, children do better to play with their peers on the street, but it`s impossible when the weather is bad on the street, and your energetic kid always want to play. In the summer, by the way, you can fill the pool for the children with the water on this same balcony and invite friends. One or two trainers would be enough for this. Add here some dumbbells and suchlike equipment, add an audio player and you can safely go in for sports in the open air and without disturbing anyone. Some people would like to turn their balconies to the sauna. It’s quite a bold decision requiring the hands of professionals and a significant space. As well as all the necessary safety measures. We don`t recommend you to do this due to much more stronger thermal burden on the frame of the balcony which leads to early aging of pillars. The most correct option is to build a balcony in a single composition with the interior design of the apartment. Designers prefer to arrange balconies and loggias in the form of a natural extension of the interior. So the first thing that catches the eye when we go out on the balcony is its fence. You can start the restoration of the space with this part. And here we have several options for finishing the fence. The choice depends on whether the owner wants to protect itself or to leave an open view of the panorama. climatic conditions and geographic location are also influence the choice. Blind fence. This option is chosen by those who want to hide from prying eyes. But meanwhile admire the views through the window. It is also a good harbor from weather and noise of the city. In this case, you can select lining the bottom of the enclosure under the stone. Masonry also looks good. But do not forget that the balconies and loggias are not designed for heavy loads, so experts advise to choose lightweight materials that will mimic the stone facing. The upper part has traditionally window. Semi-blind fence. The lower part of the fence here is closed, and the top is completely free to enjoy the open space. Glass railing. It is suitable for people who either do not fear their neighbors and passers-by will see them, or simply there are no such people. But there is a need to hide from the rain or snow. The glass sheet may occupy only the bottom part of the enclosure and bottom-top position with the gap in the middle. Fencing space. It is understood that the fence is simply delineates the boundaries of space, and, of course, avoids falling out from the balcony or loggia. In such cases, using metal bars or forged fences. The next step is finishing the walls, floor and ceiling. Naturally, they should be designed in a similar style to the fence. The most versatile is an imitation of stone facing. It is suitable to any kind of fencing. But there is important the right color and texture of false materials. 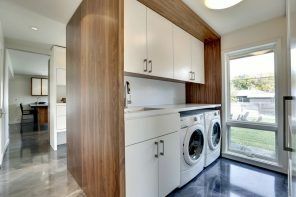 Of course, the lining would fit, as well as decorative panels and laminate, and parquet. You can even just a plaster it or paint. The main thing that it should be in the framework of main theme, whether it would be a winter garden, gym, workshop, greenhouse or something else. The thing is that if you decide to decorate the balcony as a greenhouse, the expensive decoration materials are simply inappropriate here, even if you have enough financial resources. Greenhouse or workshop design, for example, must be modest and tasteful (bricklaying, plastering, simple paint on the floor boards, and so on). Similarly, simple decoration is not suitable for mini-saunas, greenhouses etc. Trust your feelings, they will prompt you to the right choice. And seek advice from experienced designers. Particular care should be paid to elaborating of floor finishing of the open layout balconies and loggias, as they will be exposed to rain. For this purpose one can choose classical landscape materials that are used to cover the terraces or tracks. They include: decking, tiles, mosaic covering, artificial turf. Turf on the balcony, in general, looks very elegant. You can also build some sand or gravel areas. 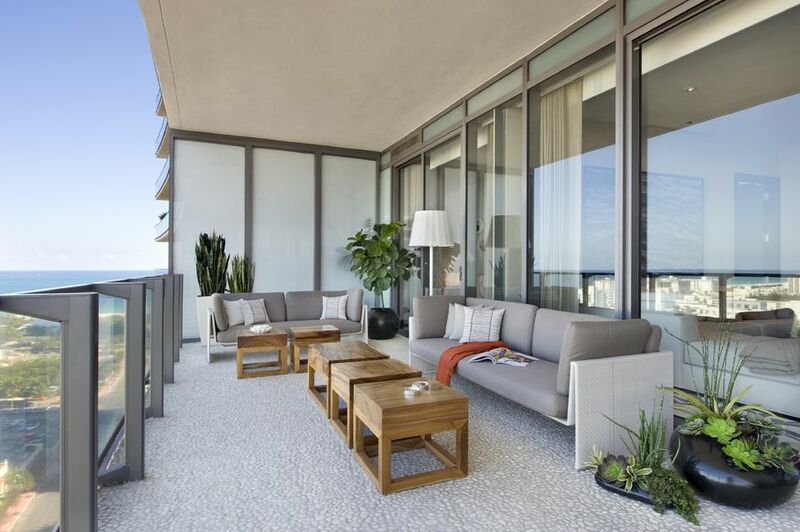 Choosing furniture for the balcony will primarily depend on whether the balcony is open or closed. 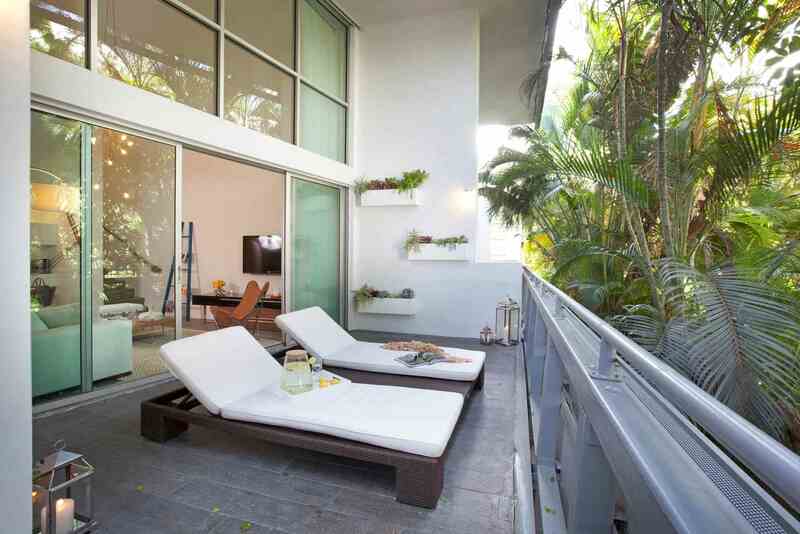 Thus, you can choose absolutely any furniture which you seem more comfortable and appropriate for the private balcony. The main requirement for it is being not too heavy. And if the space allows don`t worry about the size of the furniture. If the space is not enough, so buy a special compact furniture. But as for an open loggia, as you`ve done with the flooring, pick up furniture from the stable to precipitation and temperature extremes materials, i.e. landscaping products. We imply plastic and modern wicker furniture. What kind of furniture do you need depends on your view of comfort. For some people the most important will be a sofa or a lounger. Others prefer table and chairs (seats). Still somebody believe the most important is to have a grill. Others hung more lockers for the various equipment and so on. It is very convenient to use functional furniture such as a sofa with drawer, convertible bench and other appliances for storing different things. Then the interior look more spacious and ergonomic. No wonder that there are balconies without any single chair or table. The use of such balcony is individual depending of the owner. 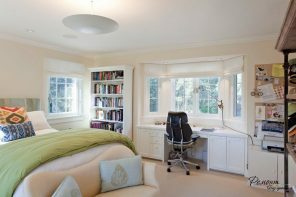 But more often it is simply a continuation of the room (bedroom, living room). 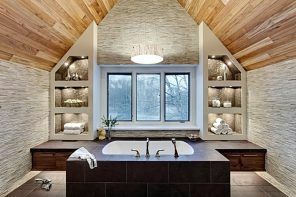 You can rest in the room and the balcony would have nothing to interrupt you from contemplating the surrounding beauty. No matter what the purpose of your balcony, green plants will always be its decoration. Of course, if you have the desire to. First of all, determine how much space you want to allocate for flowers. Based on this we can determine the number and size of the plants. A very important role is also played by the real conditions of growth, namely the side of natural light, degree of illumination, the prevailing wind direction etc. These factors directly affect the selection of plant species, which will feel comfortable here. 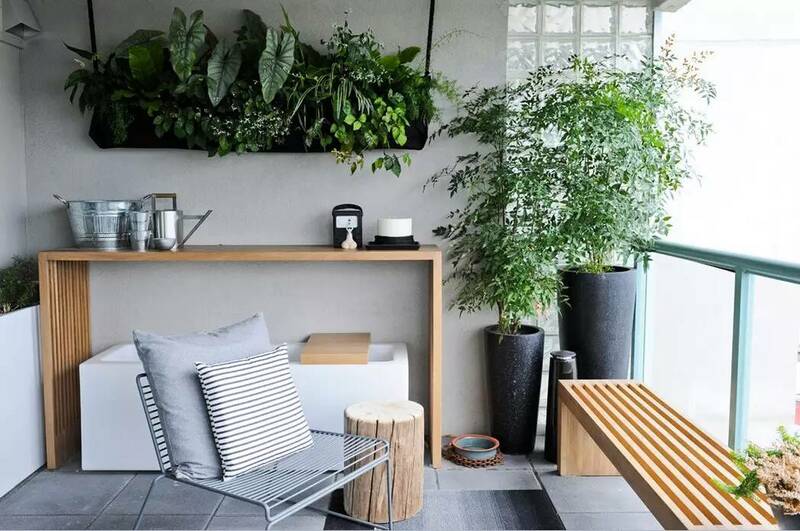 For balconies with more modest dimensions, or if you just cannot allocate plenty of space for the plants, you can resort to hanging pots that can be placed on walls or on the railing on both sides of the balcony fence. vines will look best on the walls. Small or decorative plants would be more appropriate on the railing of the fence. 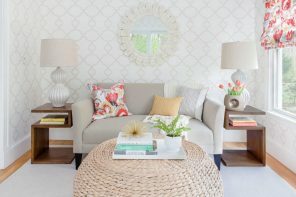 This space is also characterized by the presence of decors and accessories. These kind of subtle details underline any interior and make the design more complete and sophisticated. It can come whatever you like as decoration for balconies, well, if it is combined with the general thrust of the whole apartment. Metal, plastic, ceramic accessories and stone structures perfectly cope with weather changes. Wind chimes and bird feeders are also excellent choice for the balcony. loggia is increasingly decorated with artificial ponds, waterfalls, fountains nowadays. Water will refresh you and gurgling soothe when it`s the heat outside. The most important thing when equipping a balcony or loggia that you should not consider this room as a separate space. It should be integral with the whole apartment. Consider additional lighting here, if you like to relax on the balcony in the evening. You can individually equip the table with the light fixture, create the lighting for the plants and then your quiet and secluded corner in the open air will be cozy and comfortable.